The University of Agricultural Sciences (GKVK) is another campus in Bangalore that offers pleasant options for running. Given the university’s focus, the grounds are, predictably, green and nicely landscaped. There’s a beautiful Botanical Garden, a Mango Garden, sunflower section, an area with denser jungle vegetation, cricket fields, and more. 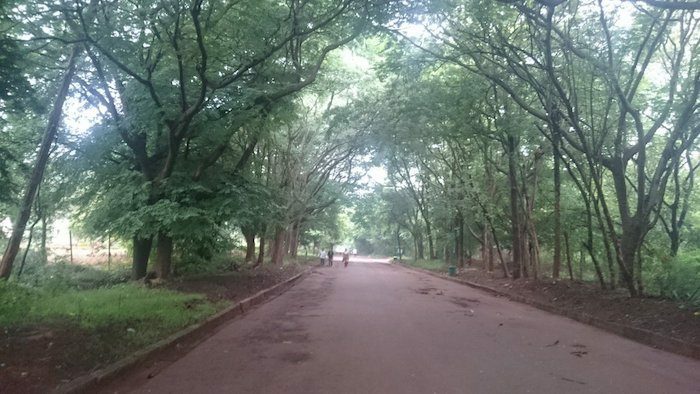 There are paths weaving around these areas, anchored by the tree-lined GKVK Campus Rd. Fascinatingly, the campus is divided into ten ‘agricultural zones’. The campus is in the northern part of Bangalore, accessible by bus. The Kodigehalli Halt train station is 2 km south of campus.